Top 5 Foot and Ankle problems to avoid this Cricket season! Despite popular opinion, Cricket can be one of the most physically demanding sports you can play! The long periods spent out in the middle can push your body to its limits. Due to the high amount of force applied to the heel when the front foot hits the crease the plantar heel may become injured. 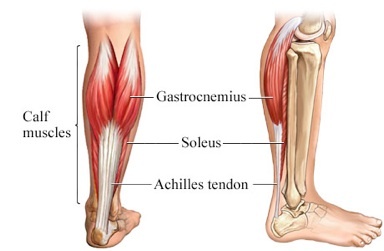 Pain to the back of the heel along the thick Achilles tendon is common. The bowling action as well as the quick movements required both in the field and at the crease place high load on the tendon which can lead to overuse injuries. Footwear can be a contributing factor to injury. Prevention: Regular stretching and an appropriate warm up and cool down are extremely important in reducing risk of overuse injuries. Pain around and under the big toe joint is a common complaint for cricketers. Biomechanical abnormalities can lead to higher stress around the 1st toe joint. High forefoot impact loading when bowling can be a leading cause. Training on hard synthetic wickets can increase your risk of injury due to increase of ground reaction force. Prevention: A biomechanical assessment to lower stress being placed through 1st metatarsal phalangeal area will reduce risk of injury, and appropriate footwear and training loads are important in managing condition. Fast bowlers front foot will be prone to this injury over time due to the torque the ankle goes through moving into plantar flexion being high. Pain will occur around the back of the ankle and can cause a restriction in range of motion. This condition can need surgical correction but there are more conservative options if identified early enough. Tip: This condition is often caused due to inadequate rehabilitation following an acute ankle injury, so it's important to be very diligent when rehabilitating an injury. Blisters, callus and damaged nails can be just as painful and hindering to performance as a soft tissue or bone injury. Prevention: These are relatively easy to manage clinically. Education on appropriate foot and nail care, and changing to supportive and properly fitted shoes are a good place to start. If you are having any lower limb issues, book an appointment with a Podiatrist at Coast Sport by calling 4356 2588 or book online via the button below. Thanks to Coast Sport Podiatrist Will for preparing this blog post. You can find out more about Will here. Tarsal Coalition: What is it and how can you fix it?